Love it when I get to these letters where I have several awesome farms to celebrate on the given day! That’s the case with the letter S in the farm a to z so I won’t waste time getting started! Brandon & Krista Stauffer run Stauffer Dairy in Eastern Washington. Milk from the Stauffer’s farm is also made into cottage cheese, powdered milk, sour cream, etc. 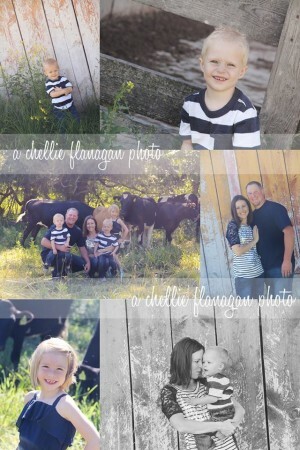 You can read about what is happening with them and their family on Krista’s blog The Farmer’s Wifee. What makes our farming unique is that we are a first generation dairy farm. Our farm was established in 2009. I met my husband shortly after he moved to my hometown to start his farm. I married into this crazy farm life & wouldn’t change a thing about it. The best part of farming is the life it provides for our children as well as being able to work side by side with each other. I recently had a chance to visit Scott Farms in Monticello, Indiana catching up with Brian Scott, his dad John and granddad Robert. 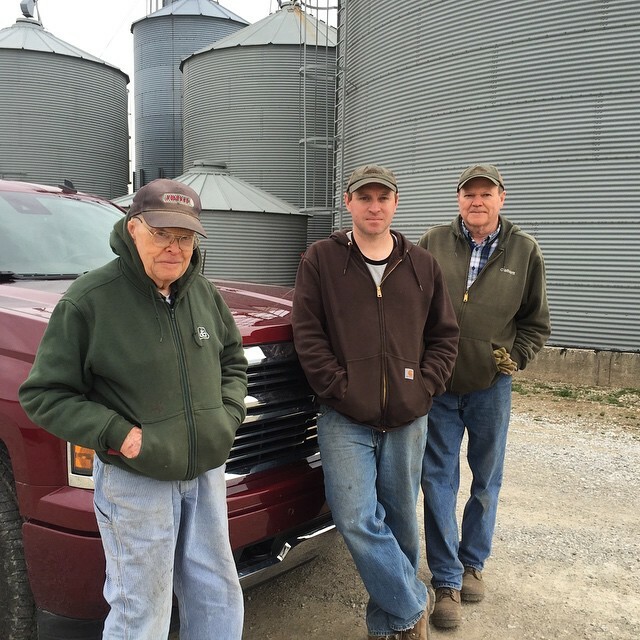 The family grows corn, soybeans, popcorn, and wheat. If you are a tech kind of person, you’ll enjoy seeing some of the photos and videos Brian captures with his UAV. 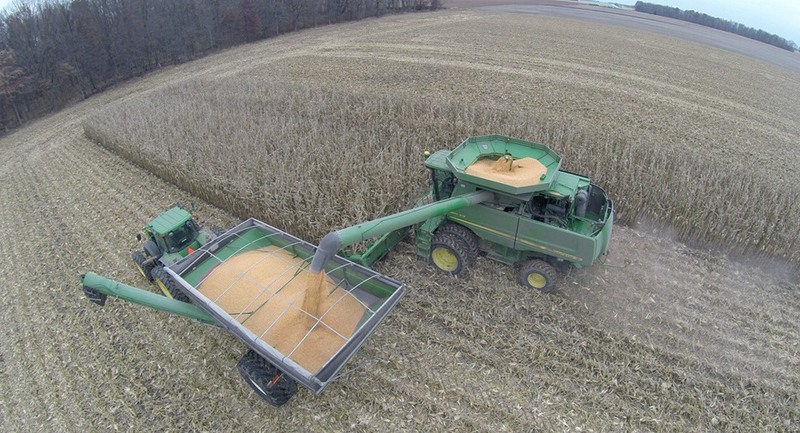 If you want to break it down further we grow dent corn, waxy corn, soybeans, soybeans for seed production, popcorn, and soft red winter wheat. Our farm is unique because we grow popcorn! Less than one percent of farmers raise popcorn commercially on about one percent of the US corn acres. The best thing about farming is the joy of having your job be your lifestyle. People often ask me if making a living largely off things I can’t control like grain markets and weather is stressful. To me it’s not. I worked off the farm in town for about six years after college. That was a job I had, but didn’t have great passion for. Farmer isn’t my job title. Farmer defines not just what I do but who I am. Jan Hoadley and her family have a farm in northern Alabama called Slow Money Farm. The small scale operation grows rabbit, chicken, herbs, veggies as well as some ducks, turkeys, and geese. Unique in many ways – micro-scale growing frustratingly slow sometimes, but expanding every year. Biggest issue is finances but little by little it’ll get there. Unique in the looks of heritage/heirloom animals and varieties that are different from commercial large scale farms. 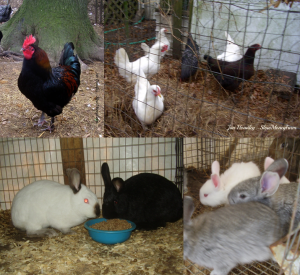 Also different in not that many people raise rabbits for meat – some larger scale and many small scale exist, but it’s a lean meat that is often overlooked on American plates. We sell direct to consumer, so folks can see as much or as little as they want in how it’s grown and how it gets to them. I grew up on a family farm in Illinois. My dad modeled much in conservation, thinking outside the box, looking for new ways to do things or use things. Was one of the first to begin raising Charolais (a breed of cattle) in our area, selling bulls in the Midwest. Being different, then, isn’t a bad thing. Both 4-H and FFA were key as a youth, and agriculture classes as part of a horse science technology degree at Black Hawk East community college followed. Since then I haven’t strayed far from agriculture. Sometimes it was working on a dairy, sometimes raising sheep or goats, sometimes writing about agriculture. Currently SlowMoneyFarm was started where we were with what we have…that was experience but not much money. It’s still small but much larger than 6 years ago. We are at the 75 percent mark as we go through the alphabet highlighting farmers/farms who’s name starts with a specific letter. 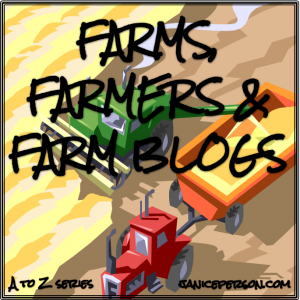 If you have missed previous posts, you can see others in the Farms, Farmers and Farm Blogs A to Z series here. The series has taken us to various parts of the US and have featured so many different crops! Tomorrow is T day…. what do you think it will bring? Its always a great thing going back to the farm. a place one grew up in. Urban life is sometimes so unpleasant. love reading your blogs. Am thinking of going into farming full time and leave my current job. i feel i should become my own boss where i cud wakeup every morning and make things happen the i want them to. Good luck! There is a lot to learn but I understand it is incredibly rewarding!